Dr. Masood’s interest in healthcare services came from a very young age. His father, a renowned pediatrician in Pakistan, inspired him to join the medical field which ultimately led him to his passion of Dentistry. Dr. Masood graduated with Honors from the prestigious University of Karachi in 2012, with a degree in Bachelor of Dental Surgery. After completing a one-year clinical internship, he immediately joined the faculty of a renowned Dental institute in Pakistan, where he taught undergraduate final year students clinical dentistry. Over the years he has taught in various well renowned dental institutions with several of his students graduating to become successful dentists. His passion for teaching is only eclipsed with his love for clinical practice. Together with his faculty duties, he simultaneously worked in private dental practices as well, where he helped patients in all aspects of general dentistry. In 2014 he decided to pursue his profession in the beautiful country of Australia. 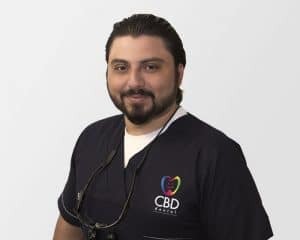 After clearing all parts of the Australian Dental Council examination in single attempts, he successfully acquired his license to work as a Dentist in Australia in 2015 after which he has worked full time as a dental surgeon in NSW. His fields of interest include restorative and cosmetic dentistry, endodontics, oral surgery, preventive dentistry, pediatric dentistry, fixed prosthodontics & implantology. Dr. Masood believes in maintaining high quality standard in his work and to keep up to date with all the latest developments in dentistry, he regularly takes part in professional developmental courses and programs to constantly improve his knowledge and skill in his profession. Dr. Masood is a kind, gentle and patient individual. His passion for his profession is clearly evident in his work and his care and compassion resonates with every patient. Apart from Dentistry, Dr. Masood loves sports. As a teenager, he played professional squash and was the captain of his school soccer team. He loves to watch movies and listen to music. Eating quality food and traveling is something he loves as well but his favorite thing to do is to spend quality time with his family.